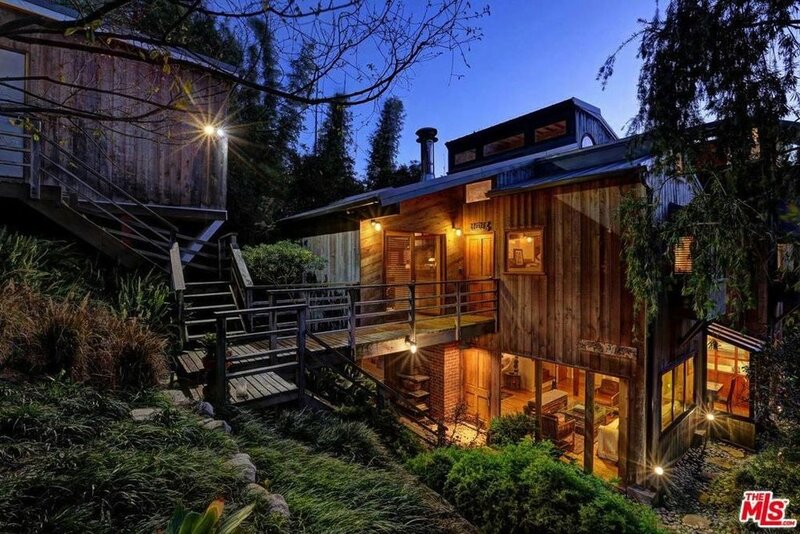 The house is a two-story residence in Santa Monica's Rustic Canyon that was built in 1980. The secluded site enabled panoramic windows to the exterior gardens that both expand the interior spaces and provide a strong connection to the surrounding gardens. The house is entered across a bridge that provides access to the middle level. Most living spaces are on the lower level with the bedrooms and home office on the entry level. There is also an "outdoor room" on an upper deck with views to the surrounding canyons. The "rustic style" of the house was chosen to match the ambiance of the neighborhood prevalent at that time.